Can we keep in touch with you? Your support is valuable to us as together we can help keep saving lives. If you are happy for us to stay in touch please indicate below the best way we can contact you. Tick all boxes that apply. 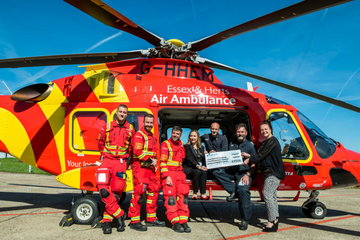 Please be assured your details will not be passed on to third parties for their own use but only to support the charitable objectives of Essex & Herts Air Ambulance. You can opt out of receiving these communications at any time by calling 0345 2417 690 or unsubscribing from any email communication we send you.